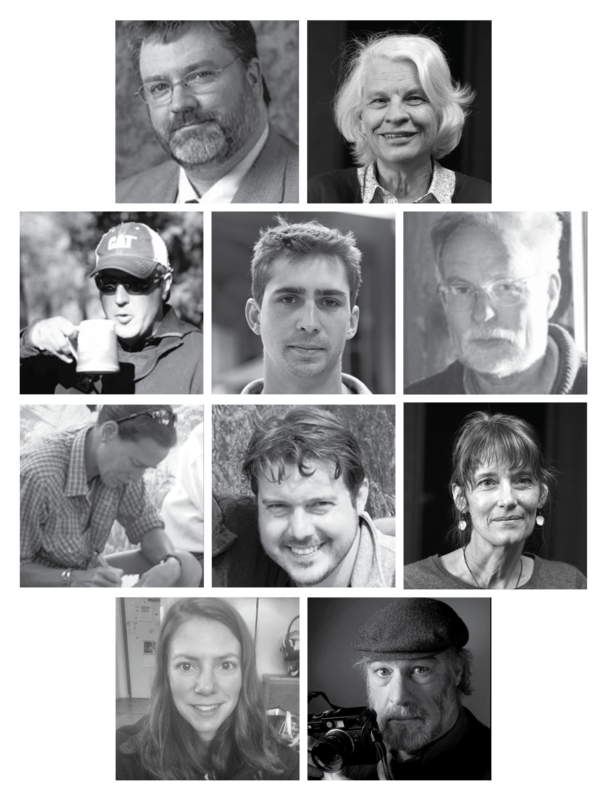 WyoFile board and staff from top left: Gene Ruckman, Charlotte Belton, Matthew Copeland, Andrew Graham, Loring Woodman, Nadia White, Guy Padgett, Karen Hertel, Elyse Guarino and Angus M. Thuermer Jr.
WyoFile is an independent, nonprofit, member supported public interest news service reporting on the people, places and policy of Wyoming. In 2008, recognizing the rapid decline in resources among traditional news outlets, a small group of veteran journalists and investors founded WyoFile. The goal was, and remains, to give Wyoming better in-depth and investigative news coverage — the facts, context and sunlight necessary for effective civic engagement and healthy democracy — freely and easily accessible to all online and in the pages of their local newspapers. The organization incorporated in 2009 as a Wyoming 501(c)3 nonprofit, and is a member of the Institute for NonProfit News. Today WyoFile provides award-winning reporting on complicated subjects and issues ranging from tax policy to trends in Wyoming culture. WyoFile does not aim to compete with legacy news providers, but rather to complete the critical service that print and broadcast news outfits provide their communities. WyoFile is not motivated by profit, private agenda or political philosophy but rather by the simple beliefs that facts matter and that a healthy state and resilient democracy requires a well-informed citizenry. Our name is a play on words that reflects our journalistic purpose and our love for our uniquely beautiful mountain state.